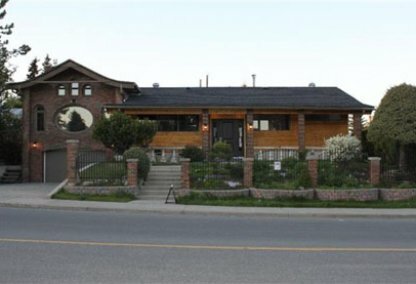 Search Lakeview homes for sale & real estate in West Calgary. The Lakeview real estate area is tucked between Glenmore Trail, Crowchild Trail and the T'suu T'ina First Nation lands. For information about Lakeview neighborhood properties for sale or to schedule a private home showing, contact your Lakeview Calgary real estate experts today. Lakeview housing market statistics: As of April 20, 2019 there are currently 32 properties for sale in Lakeview listed as active, with an average asking price of $827,773. The highest-priced property is $2,499,000; the lowest priced property can be purchased for $369,000. Lakeview neighbourhood listings have an average price of $505 per square foot, based on listings with 3.8 bedrooms, 3.0 baths, and 1,574 square feet of living space. Buy and sell homes in Lakeview by seeking out Justin Havre at RE/MAX First, our community of Lakeview real estate agents and agents prepared to guide you through the Lakeview real estate housing market in Calgary. Call us at 403.217.0003 today! This west zone community has great views of the Elbow River Valley and the Glenmore Reservoir and fantastic access to recreation. Take a stroll along the trails that circle Glenmore lake or bike right downtown on the pathway system. Get involved with the Calgary Rowing Club or Calgary Canoe Club at Glenmore Park or picnic beside the lake and watch the boats go by. Golfers will love being close to the beautiful Earl Grey Golf Course and parents will be pleased to find a wide range of schools in the neighbourhood. The Lakeview Community Association hosts seasonal activiites and provides services for neighbourhood residents of all ages. There are a number of schooling options for children in the Lakeview neighbourhood, with just as many choosing to attend schools in the area including Calgary Girls School, Jennie Elliott School, Bishop Pinkham School, Henry Wise Wood School and Clear Water Academy. Thinking of buying or selling a home in Lakeview? Let our local real estate agents help guide you through the purchase of your next home, or to expertly negotiate the sale of your current home. As local Lakeview real estate agents, we're experts on the market dynamics unique to Lakeview real estate. We'll get to work for you today! Contact Justin Havre at RE/MAX First to learn more about buyer or seller representation. Planning to sell your Lakeview home? Check out our free home evaluation, where you can instantly price your Calgary home online in minutes!